4 Days Tanzania Safari | . After breakfast, depart for Serengeti National Park with an optional – via Olduvai Gorge (Millions of years ago, the site was that of a large lake, the shores of which were covered with successive deposits of volcanic ash. Excavation work there was pioneered by Louis and Mary Leakey beginning in 1931. The Serengeti National park covers 14,763 km² (5,700 square miles) of grassland plains and savanna as well as river trine forest and woodlands. 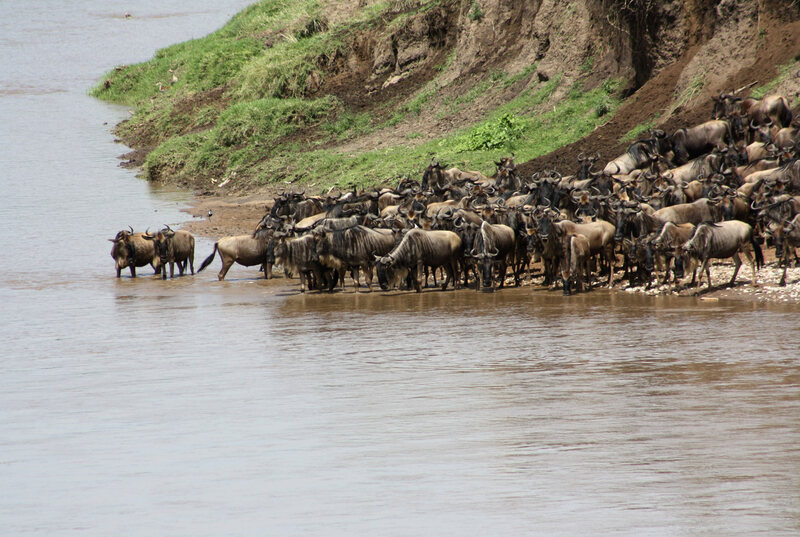 The park lies in the north of the country, bordered to the north by the national Tanzania and Kenyan border, where it is continuous with the Masai Mara National Park Reserve. Stay overnight at Serengeti Katikati Luxury Tented Camp or Seronera Camp on Full Board basis. After morning breakfast, you will spend a full day game driving in the Serengeti plains; the endless, almost treeless grassland of the south is the most emblematic scenery of the park. . Other hoofed animals – zebra, gazelle, impala, hartebeest, topi, buffalo, and waterbuck – also occur in huge numbers thru out the year. Stay overnight at Serengeti Katikati Luxury Tented Camp or Seronera Camp on Full Board basis. Descend into the Ngorongoro Crater for crater tour. This is world heritage site; the incomparable Ngorongoro crater is the world’s largest “caldera”. Dominated by cliffs standing some 600 meters high and presenting a sheer drop down to a wide open space of some 246 square km, and you may see everything from elephant to lion, and if you’re lucky, the near–extinct black rhino, all amongst large herds of zebra and wildebeest. Afternoon exit the crater and then drive back to Arusha. 2 people Price cost US$ 1,259 per person. 4 people Price cost US$ 965 per person. 6 people Price cost US$ 867 per person. 2 people Price cost US$ 1,578 per person. 4 people Price cost US$ 1,284 per person. 6 people Price cost US$ 1,185 per person.